Few things inspire Hollywood levels of terror than zombies, monsters, or robots destroying mankind. Hell, we’re pretty sure that’s what half of the summer blockbuster movie craze is all about. With En Masse’s latest offering in Zombies Monsters Robots, you get to take on the role of hero and fight back these non-human beings from whence they came. With closed beta ongoing, we had a chance to get our hands dirty and take down some of this scum – and now the NDA is lifted. Is the game a hero? Or is it an apocalypse waiting to happen? Creating someone to represent you in ZMR is both simple and straight forward. There are several facial options to choose from, along with different skin tones, hair styles and colors, and an assortment of starting costumes to wear. Additionally, you have your choice of character voice to select, so ensure your voice is heroic enough to take on the worst foes possible. There isn’t much else in the way of customization to speak of, however. You can obtain different costumes and gear by playing the game, or by purchasing, but these items are not permanent, nor do they offer any benefit other than making you look different. Before you can get into playing the game proper, ZMR requires you to go through a quick tutorial. It covers staples like WASD movement, using left and right mouse buttons for firing and using sights respectively, taking cover, and reviving teammates. The tutorial is just enough to get by, but those looking to get a little more in depth can use the game’s Training Hall. There you will learn some additional tactics like blind fire behind cover, sniping, and using dodges effectively. This makes the control scheme of the game quite simple to learn. Outside of using the mouse to look around and fire, your other hand will generally be glued to your spacebar. Spacebar controls a good amount of addition function. You use spacebar to sprint. You use spacebar to take cover. You use spacebar to leap out from cover. You will wear out your spacebar. Other than the obvious use of the spacebar, E is the default key for interacting with everything else, like ammo pickups, grabbing weapons from the fallen, or healing your teammates. Much of our time spent in between games was found in the lobbies. Yes, unfortunately, this common theme in many shooter titles is also the norm in ZMR. 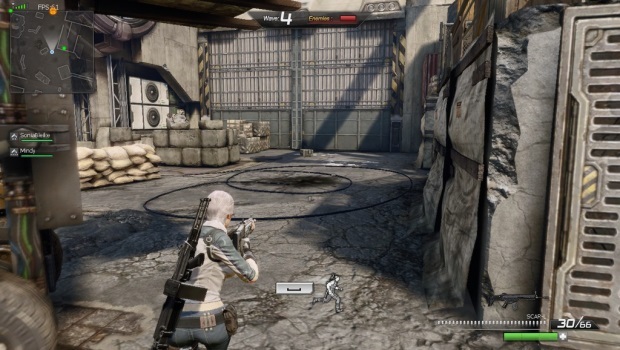 The lobbies allow you to join a game, change your loadouts, buy new gear, take a look at your current missions (think quests in other MMOs), view your achievements, or even put yourself or your team into ranked PvP matches. 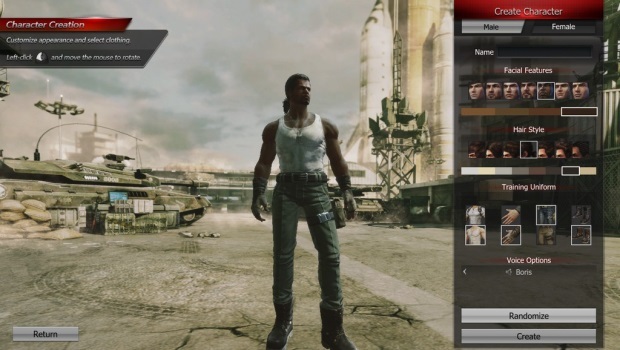 Joining a game takes you into that game’s personal lobby, where you can adjust your equipment. When you’re ready to go, you simply need to press ready, and you’re off to fight the hordes when your teammates are too. If you join and a match is already underway, you’ll start when it’s convenient to, likely between waves of baddies. 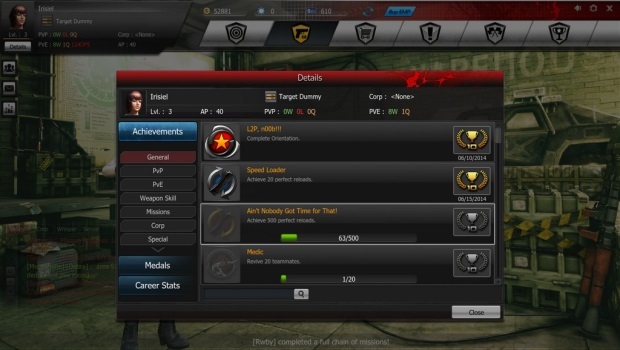 As you play, you can complete various missions, such as play at least 60 minutes, or kill 100 enemies. There are even specific missions for PvE and PvP. Completing these missions gives substantial currency rewards, useful items and power ups, and even new weapons or cosmetic gear to use. There are also various ranks of quests, and completing the group of them gives even more rewards. It was nice to see being rewarded for time spent more than with shiny badges. Let’s face it. Sometimes you want to mow down zombies, dismantle robots, destroy monsters, and generally save the human race from rampaging threats. Other times, you want to be the bringer of that ruin. Thankfully, ZMR offers both competitive PvP and cooperative PvE gameplay. PvP players also get the benefit of having ranked play to see how they stack up against their competition. 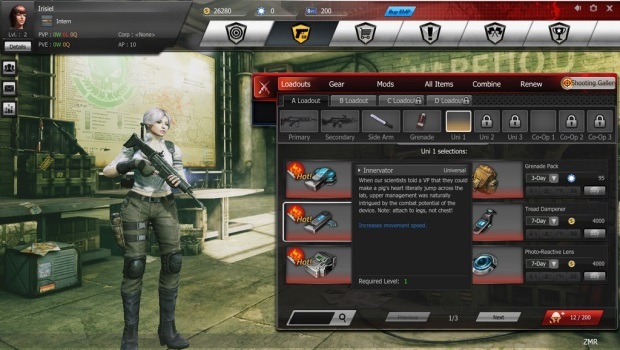 While some maps are shared between the two modes, both also have unique maps of their own. 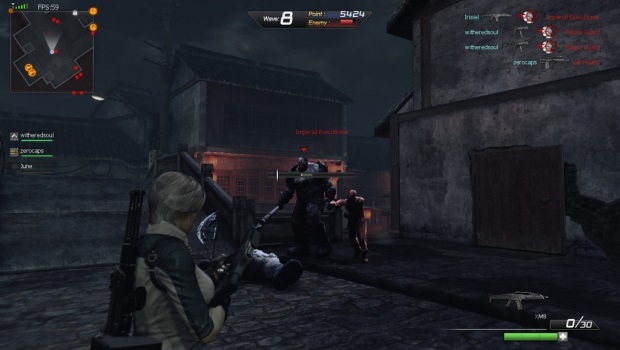 PvP is thankfully very fast paced – players die easily, and you can expect to respawn within five seconds. Matches also last for quite a bit of time (which can be incredibly frustrating if you’re finding yourself dead on the ground too much). You’re also not locked to only playing one or the other – players can switch between PvP and PvE lobbies whenever they choose. PvE matches also have a variable difficulty system. 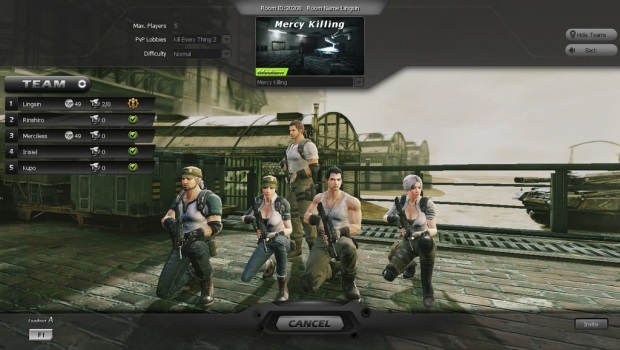 Players can select from normal, advanced, expert, and nightmare difficulties. Nightmare difficulty requires an item to unlock, and said item is consumed. Higher difficulties require intense cooperation amongst players to complete, such as sticking together, and distributing ammo and power-ups evenly. Revive tokens are also a must, as they will get a player back into the action should they fall. So, you’ve put some time into the game, but the monsters are just too strong, and other players are laughing at you. Why not head to the shop to buy some better gear, and really show them you mean business! As you play matches, you earn gold and prestige, which you can spend on getting new guns, parts to upgrade your current ones, costumes, and more. Be aware, however: outside of your starting assault rifle and pistol, very little in game is permanent. Think carefully about buying a weapon if you don’t plan on using it extensively. The exception to the rule comes in the form of the game’s cash shop. There, you can spend real world currency for a veritable smorgasbord of destruction and customization. If you’re willing to spend a little cash, you can have amazing stuff at all times. Completing missions also give you an additional “currency” in bullets – silver, gold, and platinum – which you can use to take part in shooting gallery challenges for a chance at even more permanent gear. ZMR’s trailers and teaser videos have had a lot of us hyped up for an awesome third-person shooter that gave a Borderlands vibe. Unfortunately, the gameplay is as dated and generic. Most of the AI is laughable, and relies simply on swarming during later phases of matches in order to present a challenge. Some enemies do nothing but blindly charge for the nearest player; others fail to account for the nearest player and let you walk casually around or behind them while they focus on your teammates. Any group of players that stick together and divide up weapons and ammo appropriately will have little problem plowing through even the most difficult of content. One of the most aggravating features is the auto-kick mechanic. In certain modes (e.g. 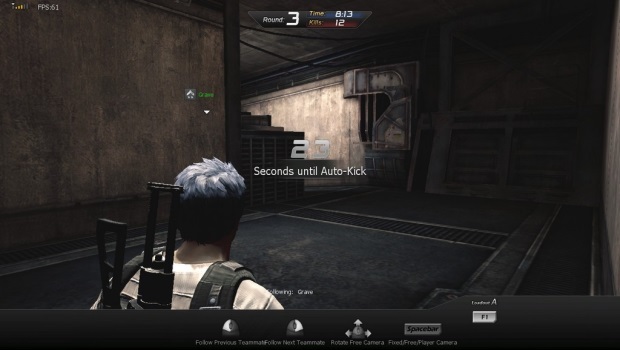 Assault Ops in PvE), you will be automatically kicked from the game if you’re not revived by other players, unless they manage to make it to the next round or wave. Without their help, or 1Up tokens of your own, you can’t get back into the action, so in some regards this mechanic makes sense. However, if your teammates fail to revive you – whether it’s because they’re out of tokens or because they just don’t care – you get to rejoin the main lobby with a quit under your PvE stats. It may be their fault, but it’s your punishment. Thankfully, the boss fights are incredibly epic, and are a true test of your skill. If your group can handle them, it substantially makes up for the mediocre feel of the generic mooks being tossed at you. The team is also releasing new content regularly. For its part, En Masse is passionate about making the game work and communicating with the development team to make changes to the game. If the developers can address some of the bland AI, lack of permanence to items, and boorish auto-kick system, ZMR might be worth more than a passing glance. NGames has announced Pockie Ninja II Original, the sequel to Pockie Ninja.